Lamisil AT Antifungal Relief Cream is proven to cure most athlete's foot with one week of treatment. * Prescription strength Lamisil AT relieves your symptoms and kills the fungus that causes athlete's foot. Athlete's foot is a contagious fungal infection. It is caused by a certain kind of fungi that love warm, moist conditions (like in your boots or shoes). Athlete's foot causes itchy, dry, cracking skin on the foot (but symptoms vary). Athlete's foot affects 1 in 5 people. 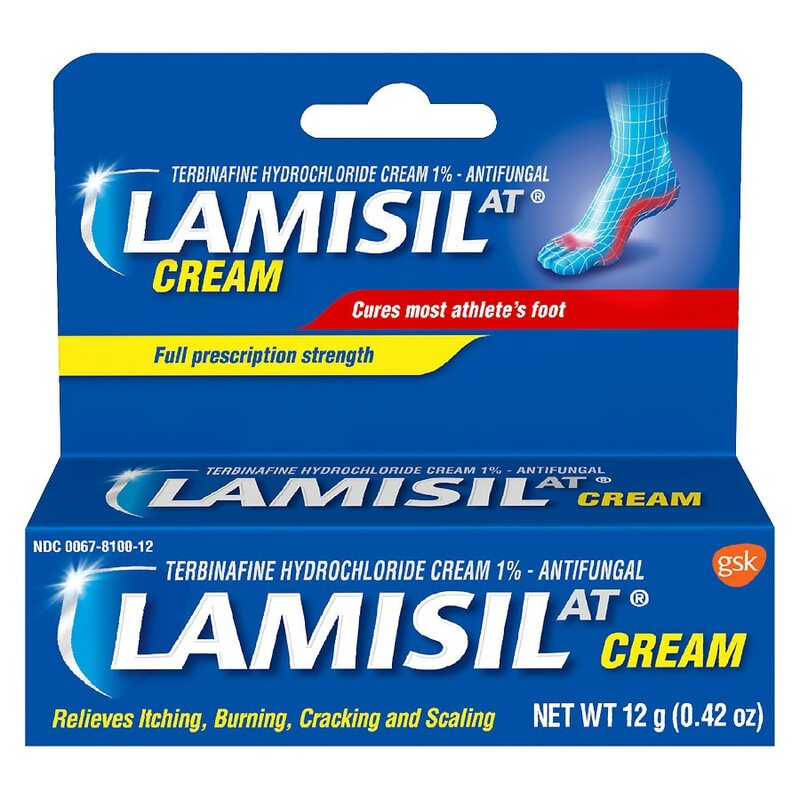 Athlete's foot can be cured with antifungal treatments like Lamisil AT Antifungal Relief Cream. Everyone is susceptible to athlete's foot, not just athletes. Lamisil AT is proven to cure most athlete's foot between the toes with 1 week of treatment. * *When used as directed for the treatment of athlete's foot between the toes. Use the tip of the cap to break the seal and open the tube. Wash the affected skin with soap and water and dry completely before applying. For athlete's foot: Wear well-fitting, ventilated shoes. Change shoes and socks at least once daily. Wash hands after each use. Children under 12 years: Ask a doctor. Store at controlled room temperature 20-25C (68-77F). When using this product do not get into eyes. If eye contact occurs, rinse thoroughly with water. Stop use and ask a doctor if too much irritation occurs or gets worse.